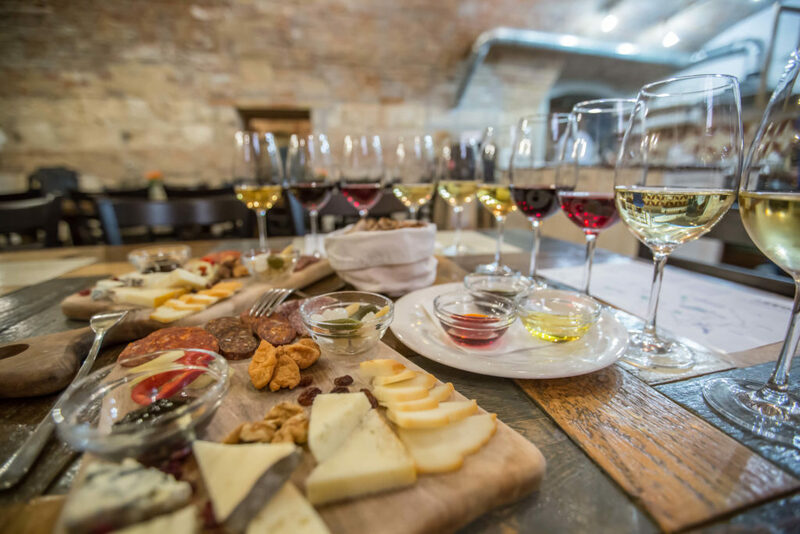 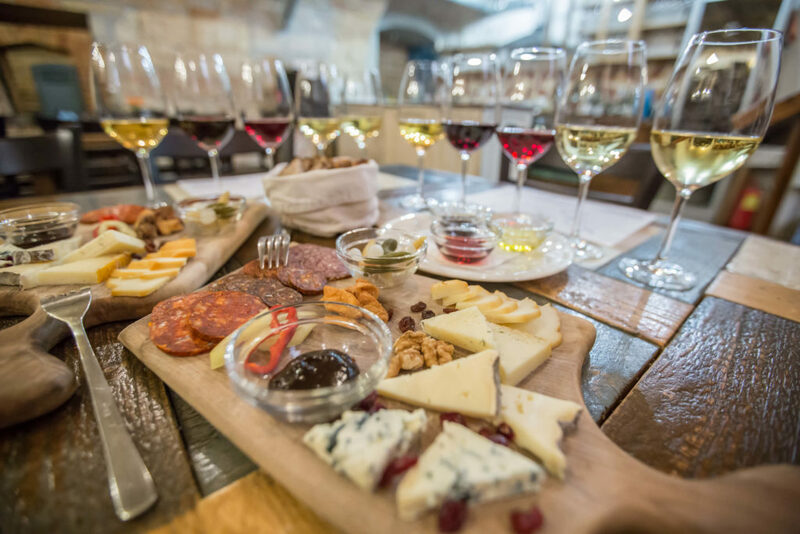 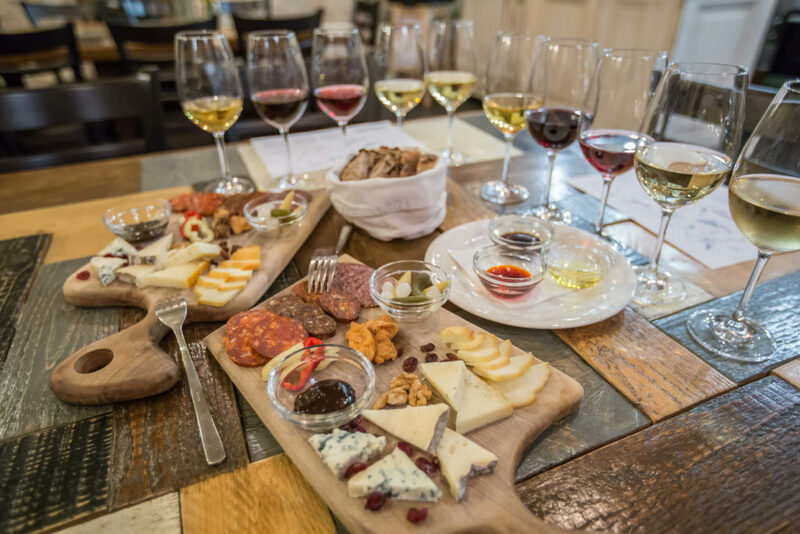 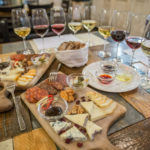 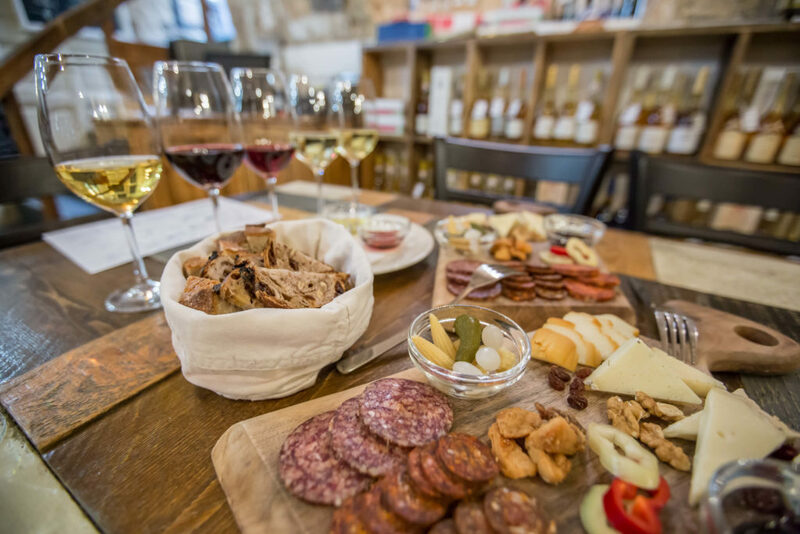 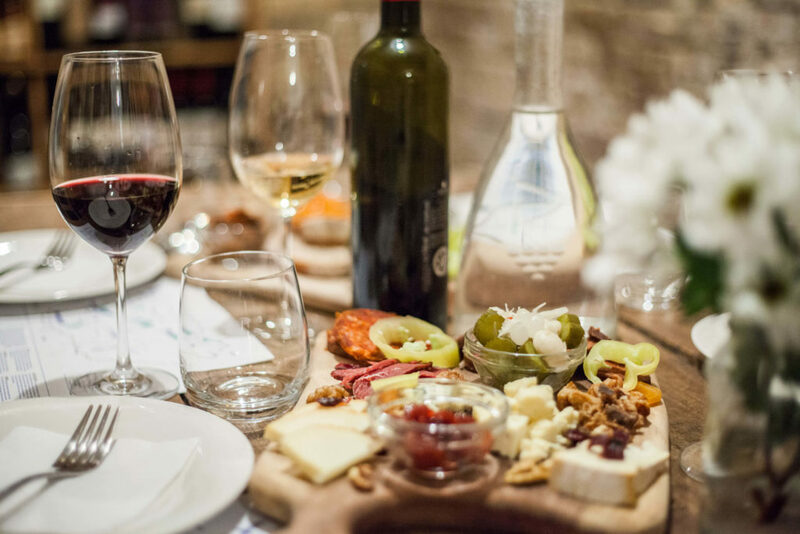 Daily at 3pm: This sommelier-led tasting experience features 5 fine Hungarian wines paired with some of the country’s best artisan cheese and charcuterie. 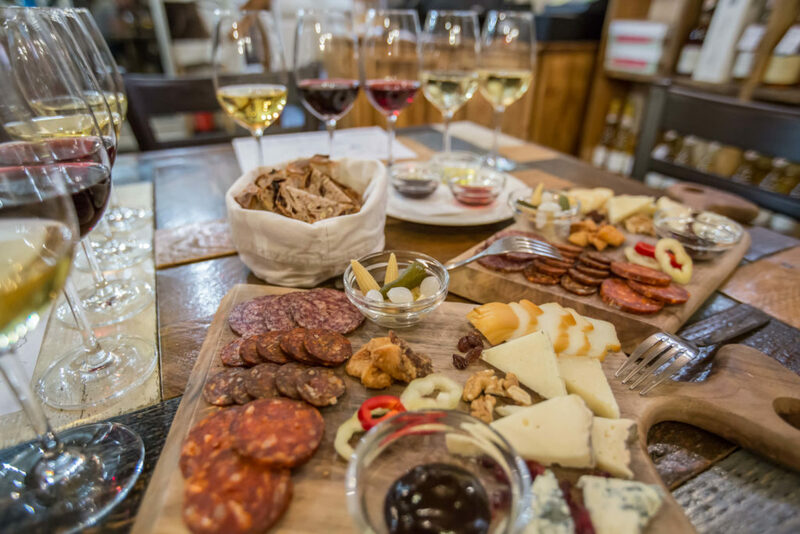 There’s no better combination than good wine and cheese. 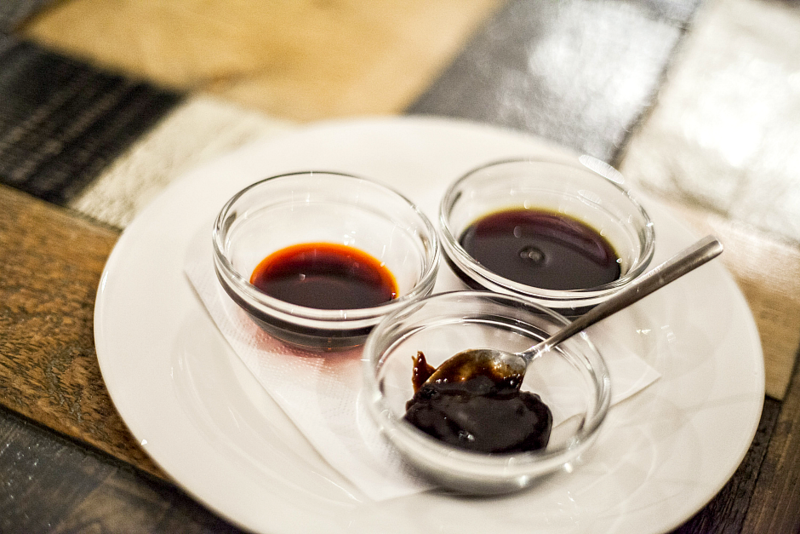 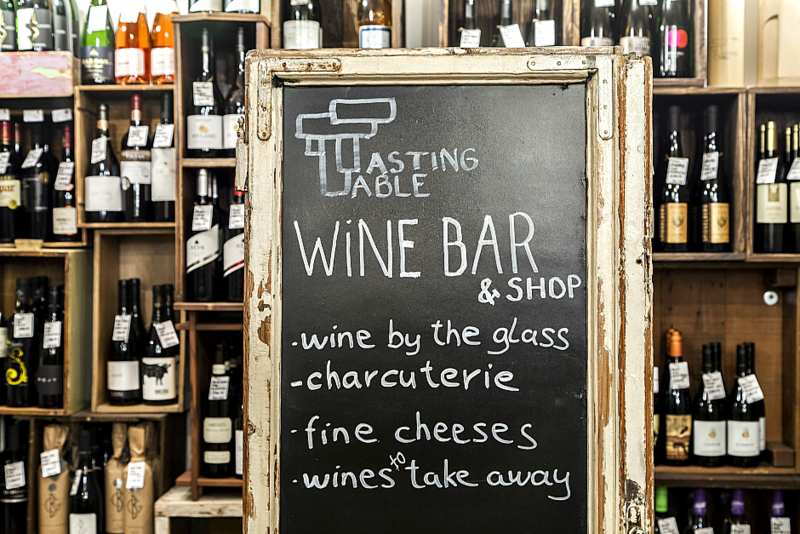 We never tire of either, and this tasting brings the two together! 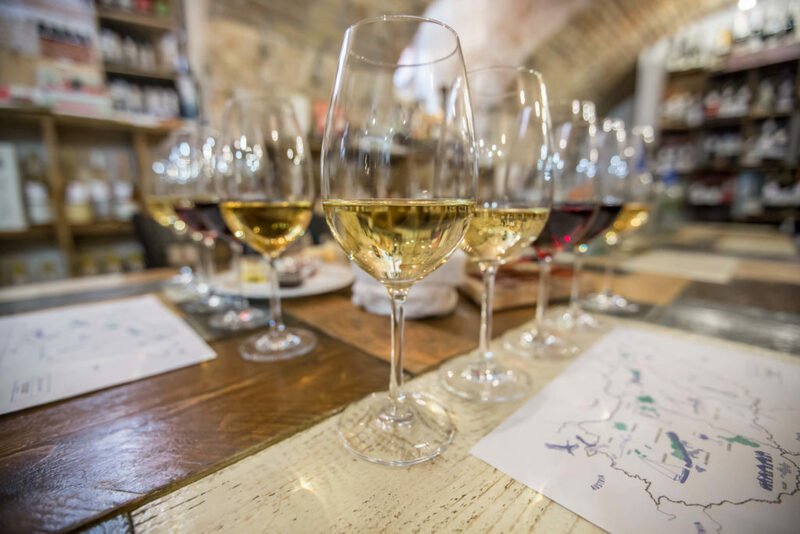 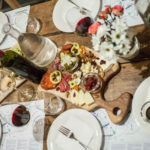 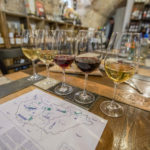 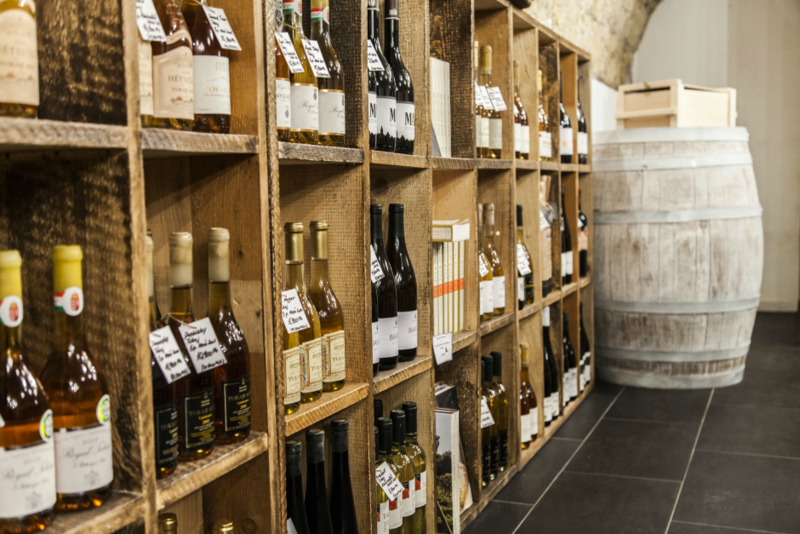 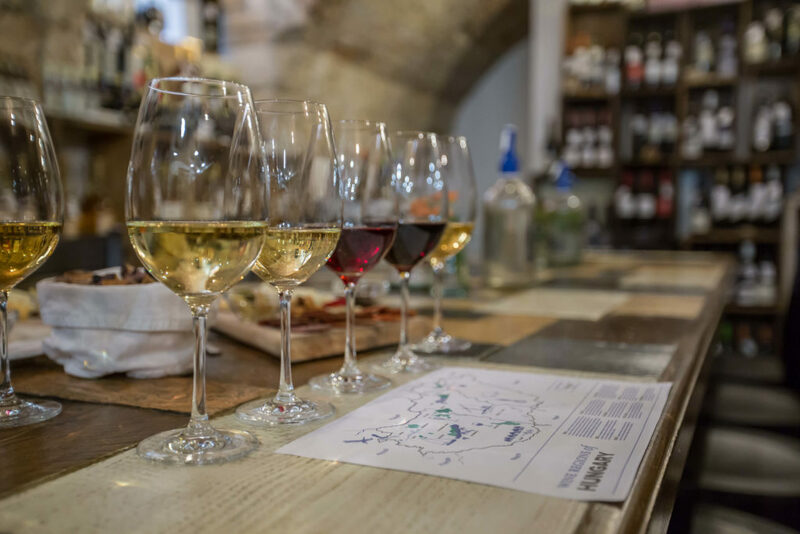 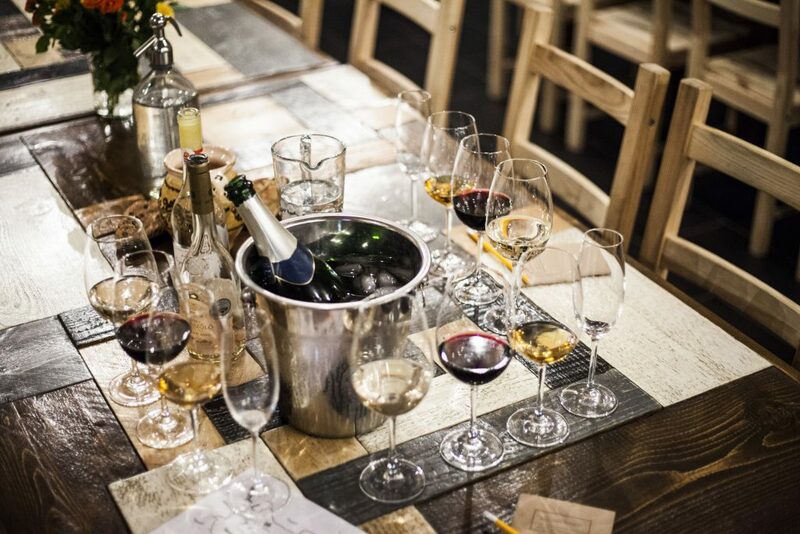 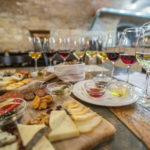 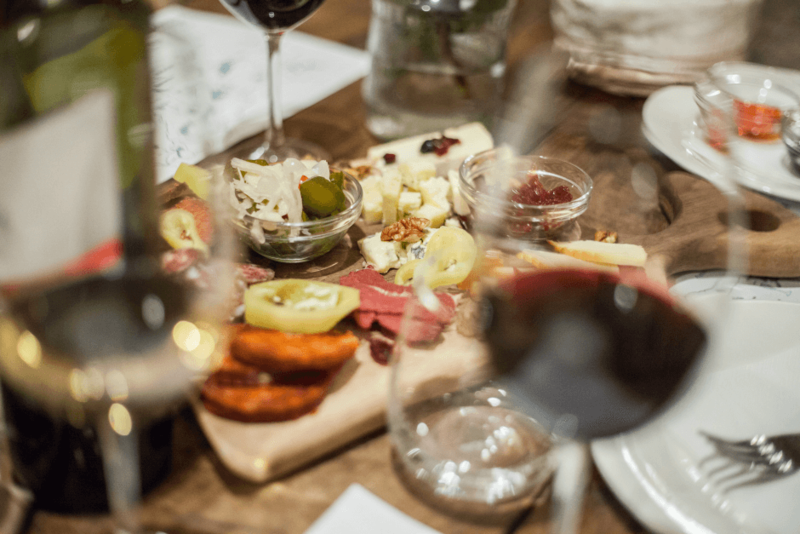 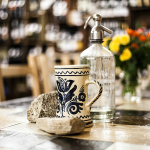 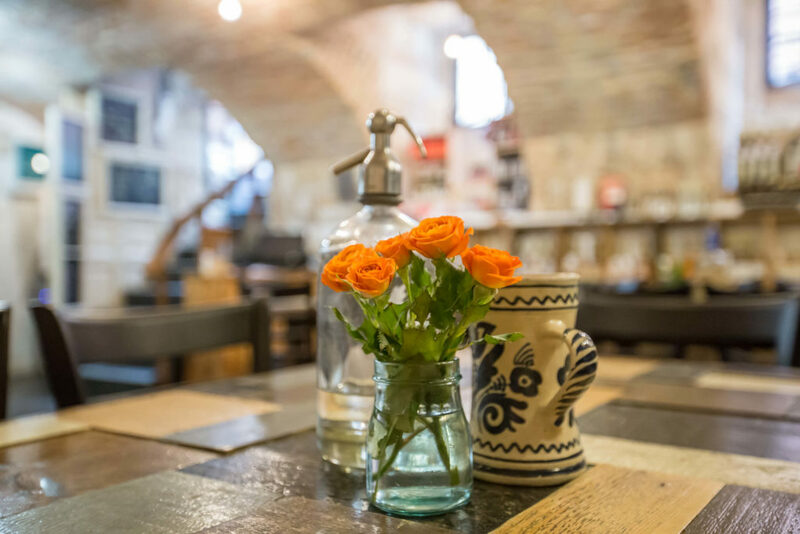 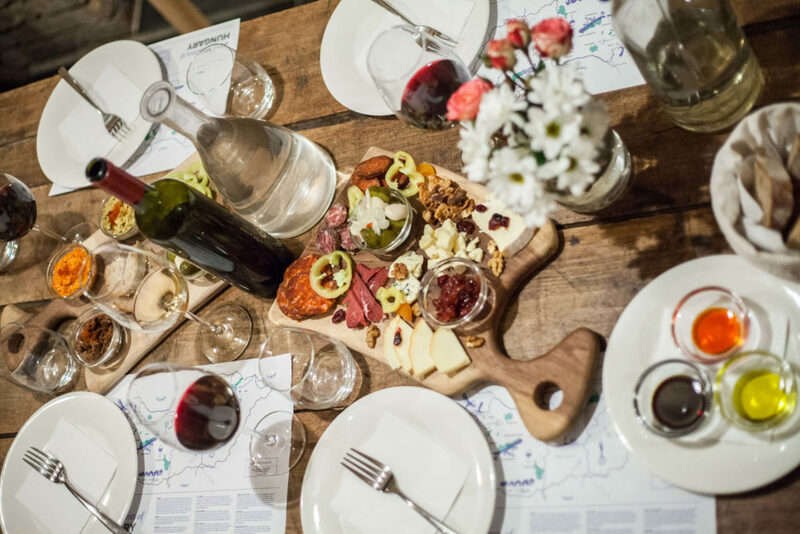 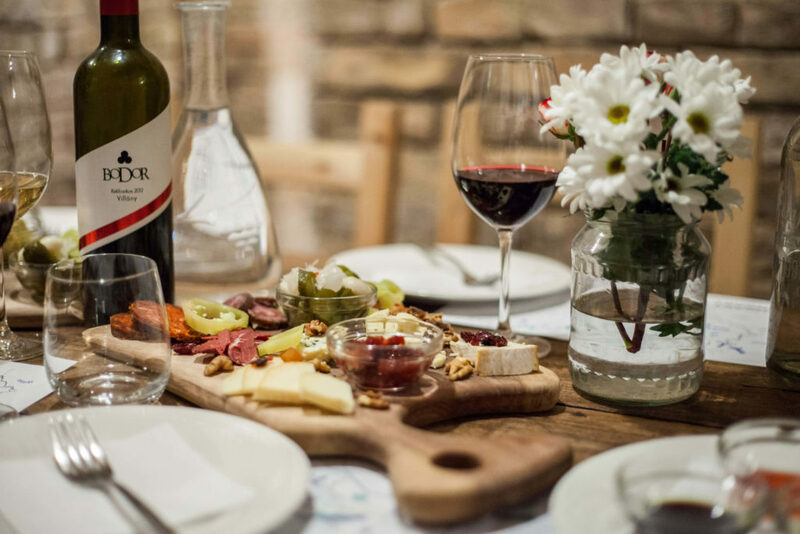 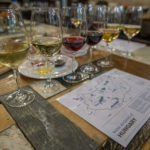 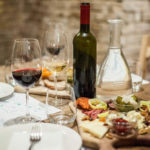 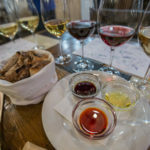 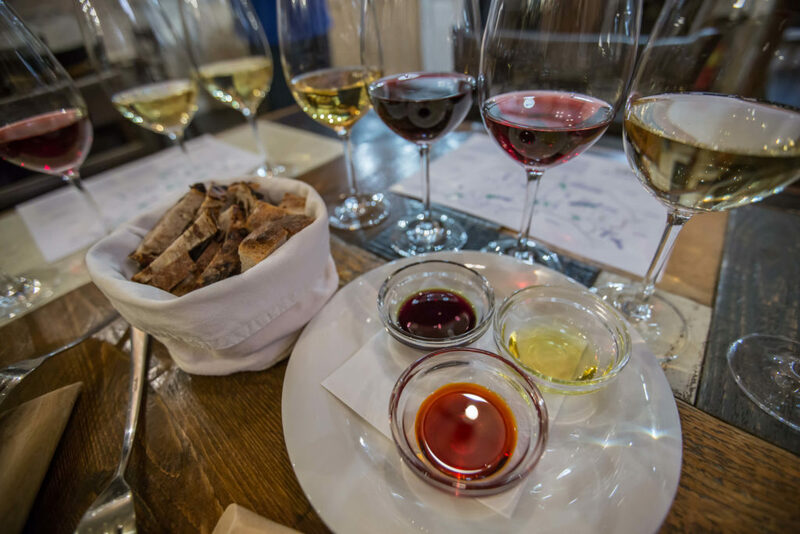 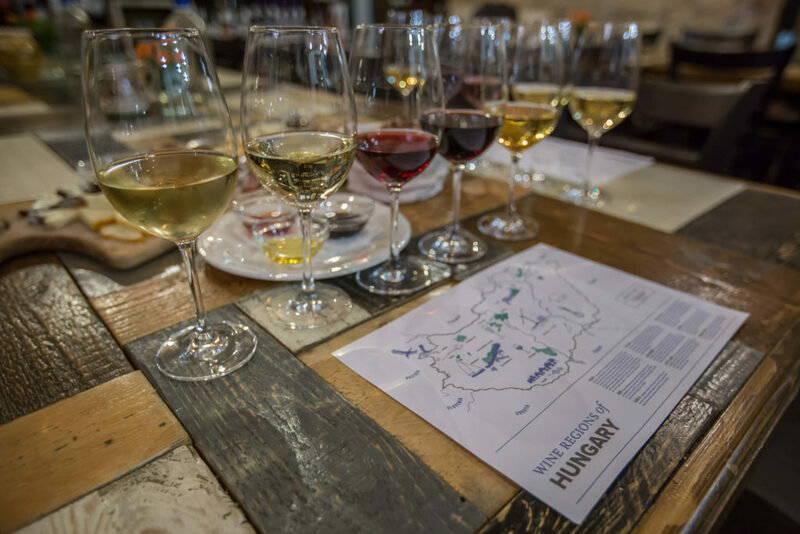 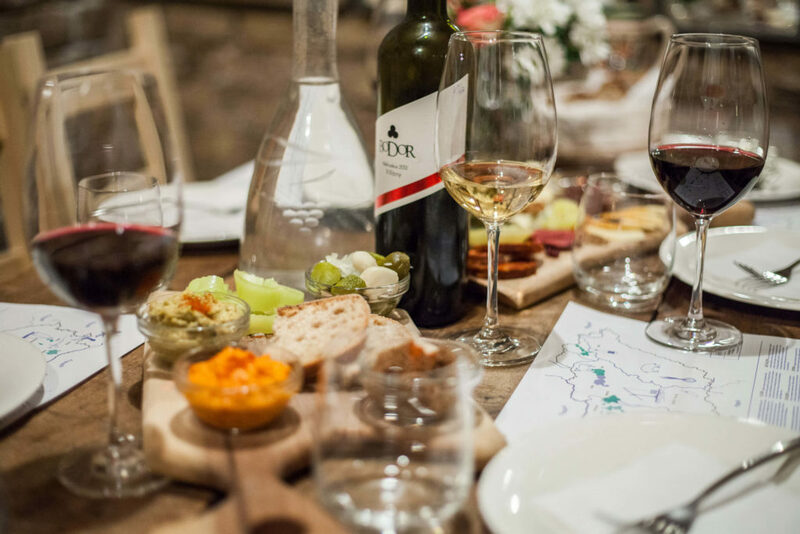 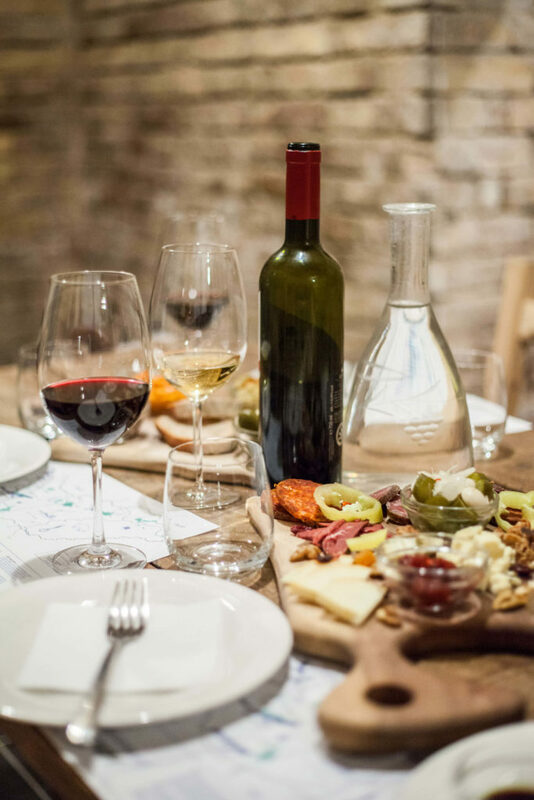 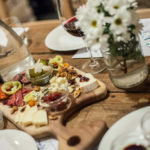 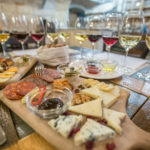 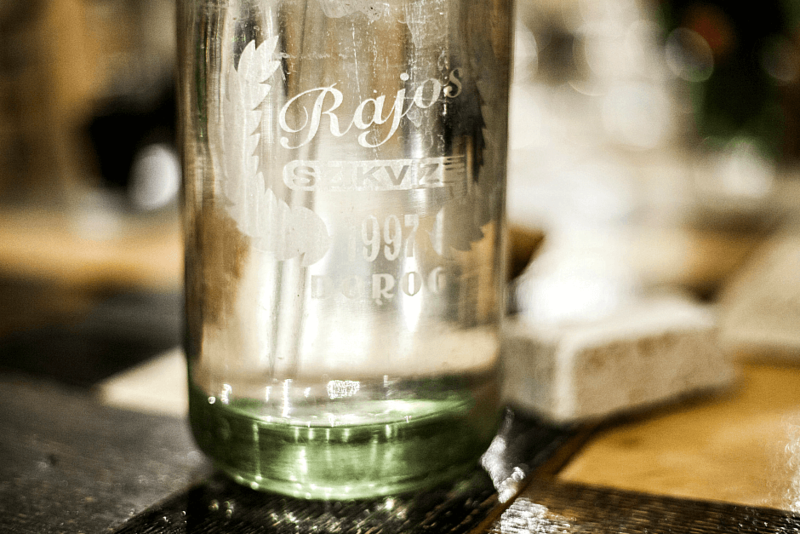 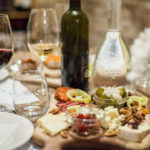 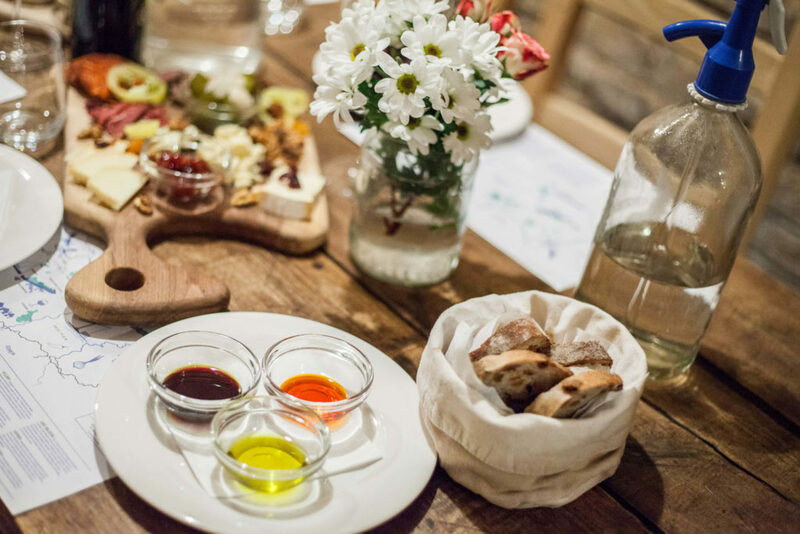 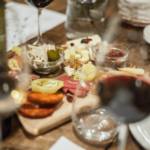 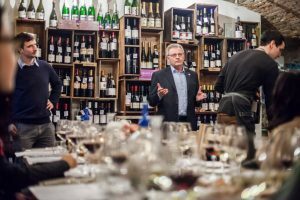 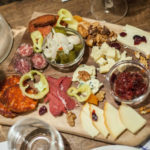 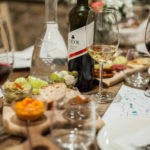 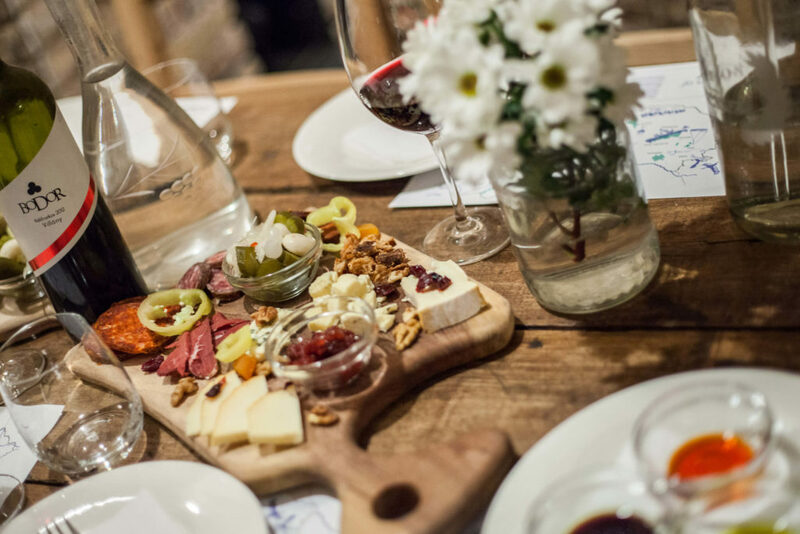 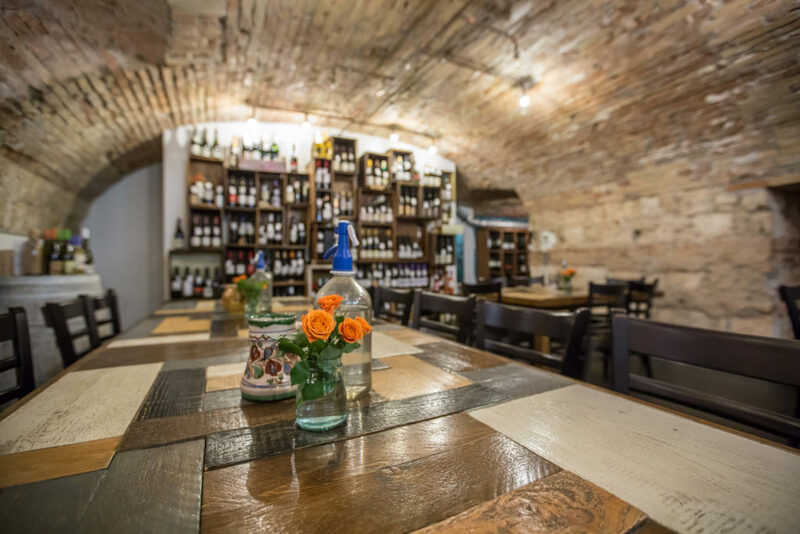 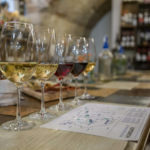 This annotated tasting experience features five top-notch Hungarian wines—paired with a selection of Hungary’s best artisan cheese and charcuterie—which will introduce you to the increasingly wonderful world of Hungarian wine. 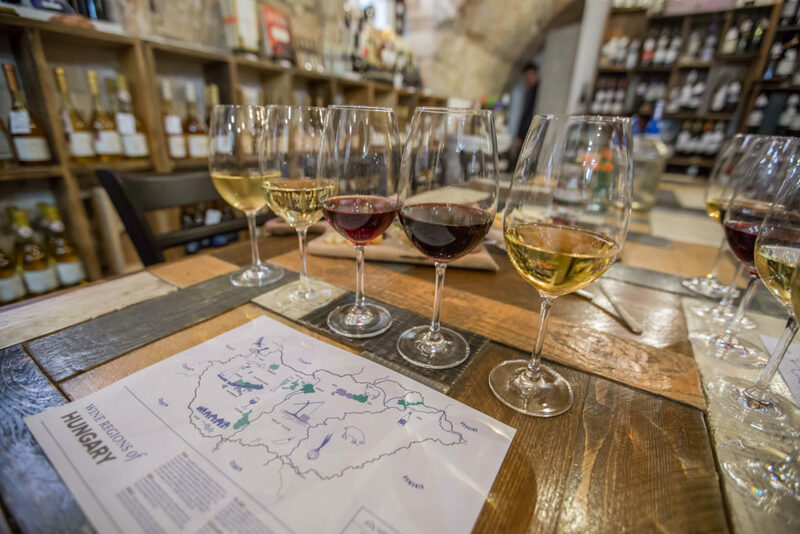 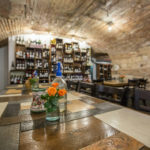 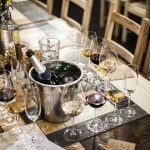 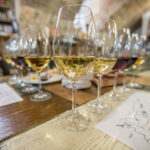 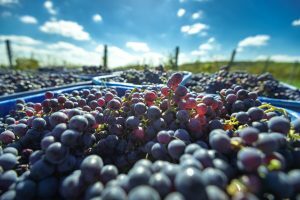 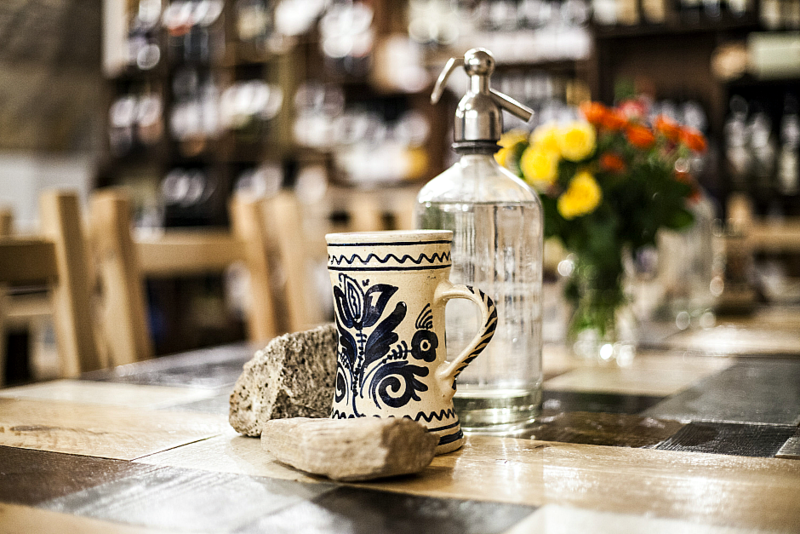 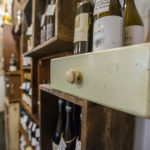 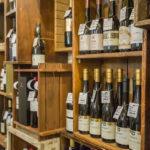 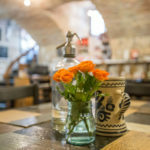 We love focusing on indigenous Hungarian grape varietals and unique local styles, so you may taste wines which you’ve never heard of (and may not easily find elsewhere). 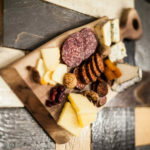 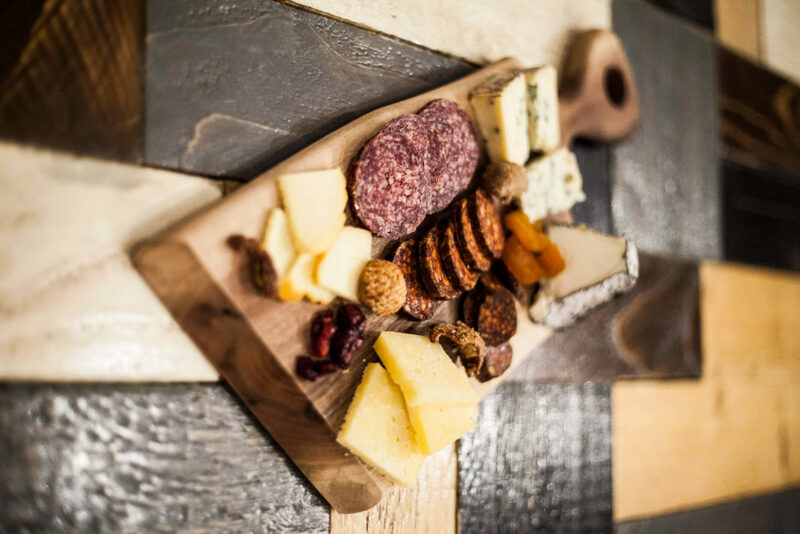 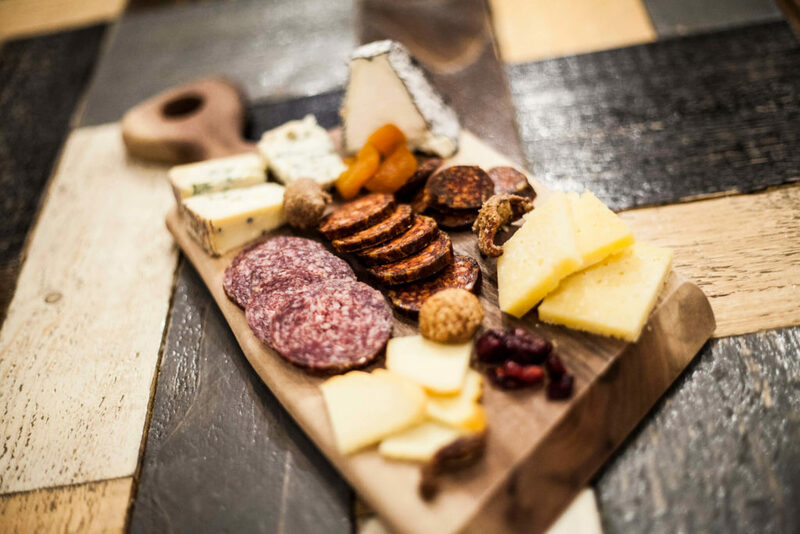 Our cheese and charcuterie board is a simple and perfect complement to the wine selection, and we are proud to source our cheese and charcuterie directly from the producers. 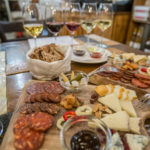 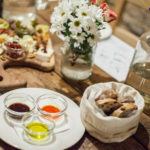 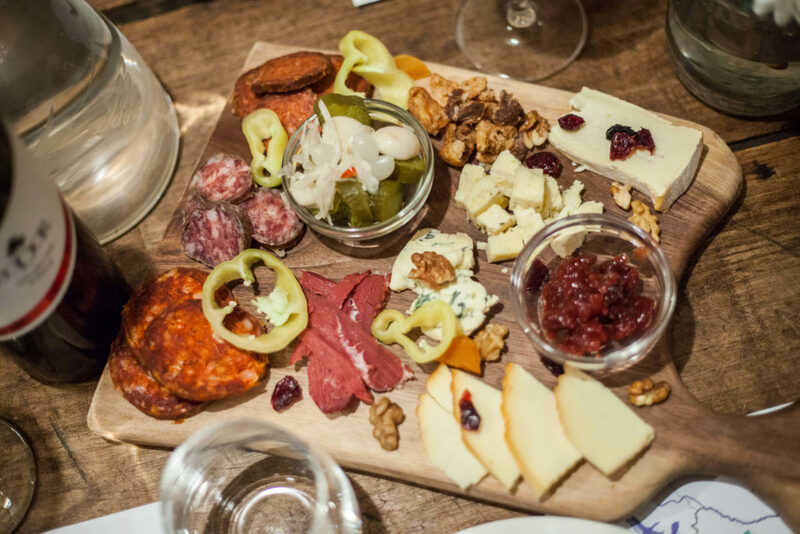 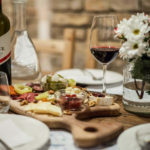 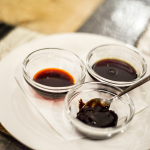 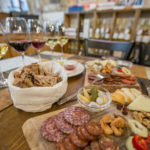 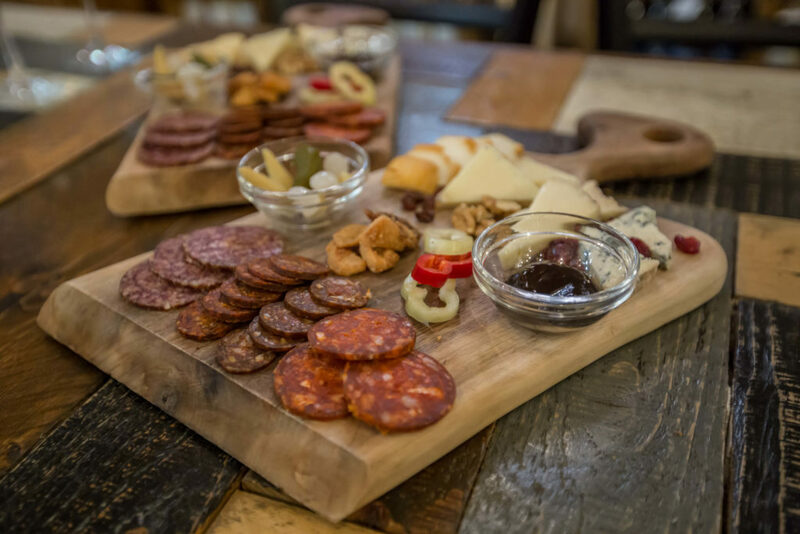 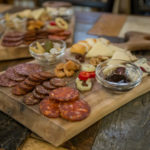 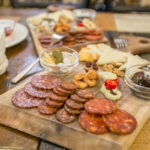 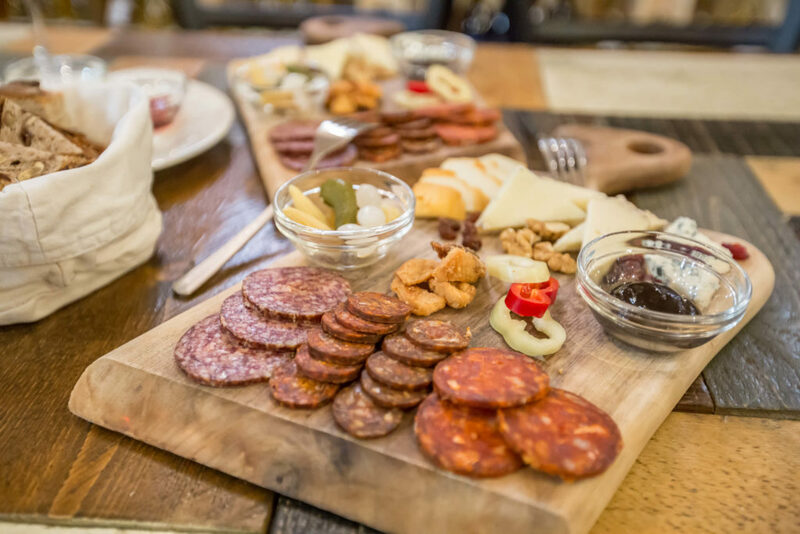 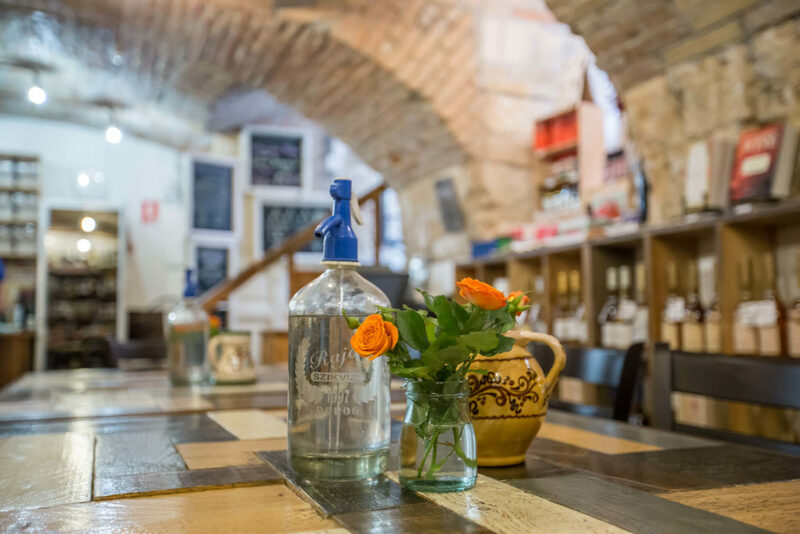 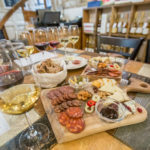 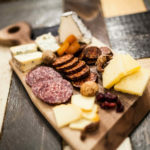 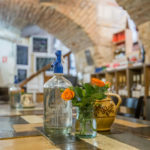 You’ll taste things such as mangalica pork sausages, free-range water buffalo salami, smoked duck breast, grey beef sausage, and various styles of cheese. 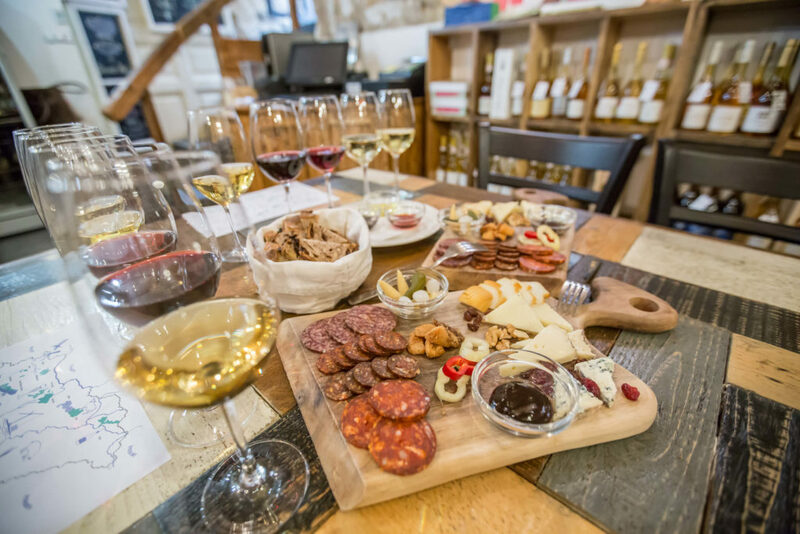 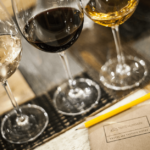 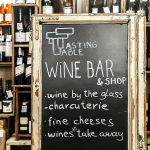 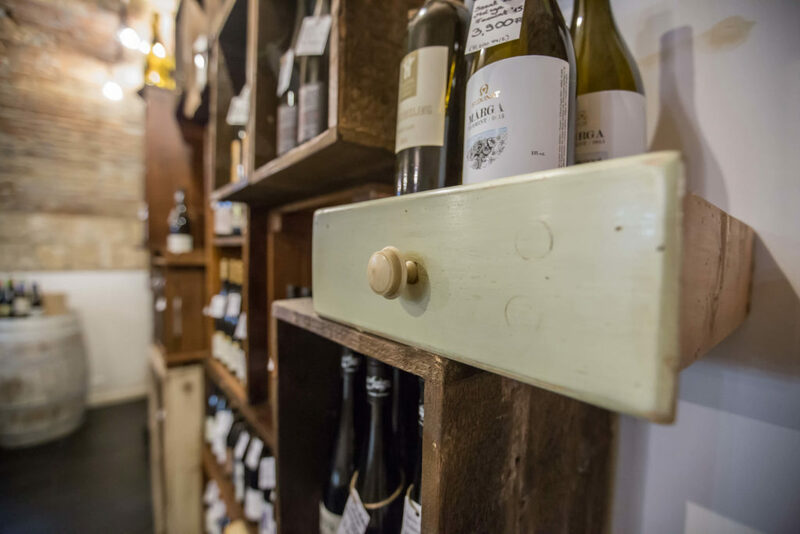 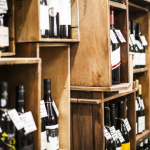 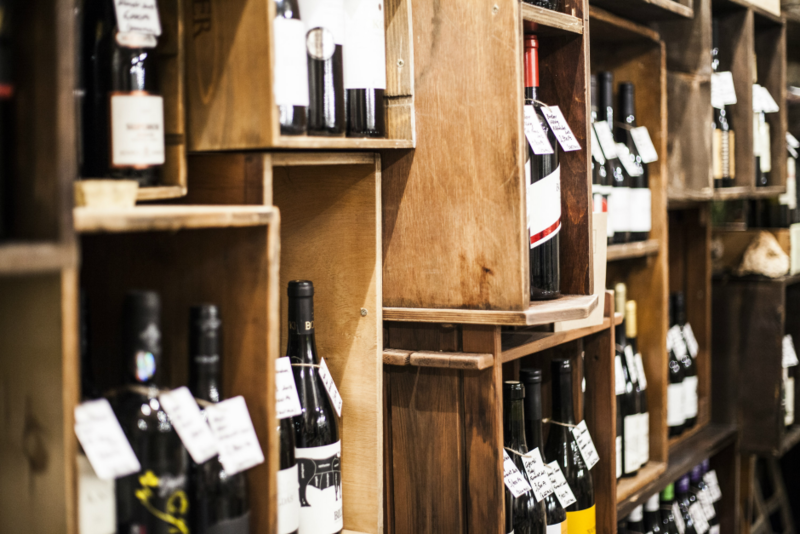 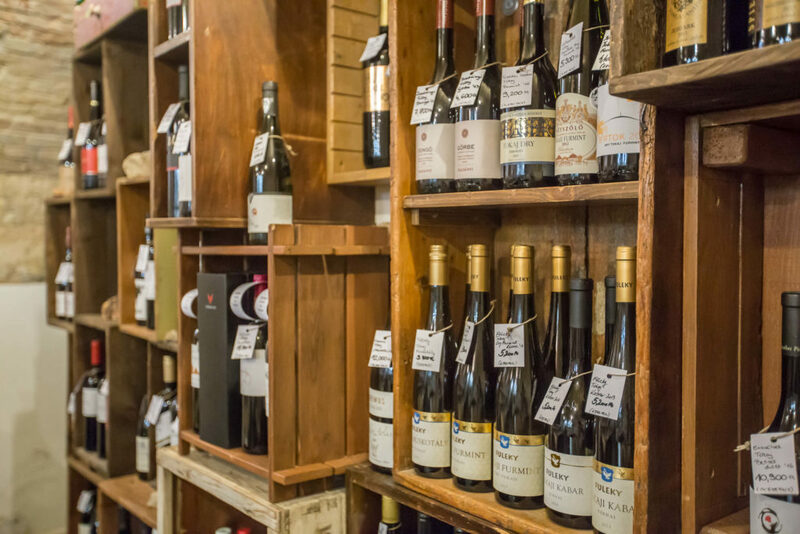 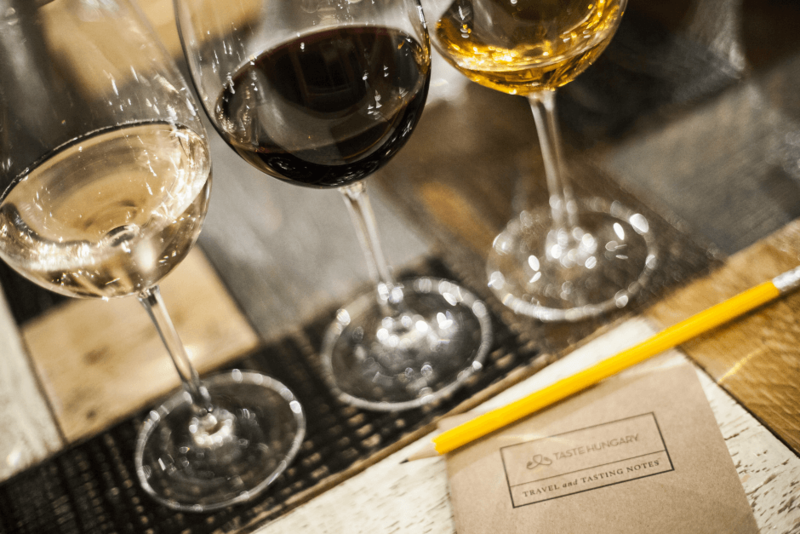 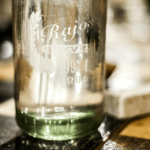 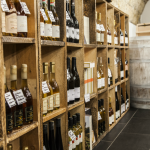 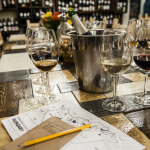 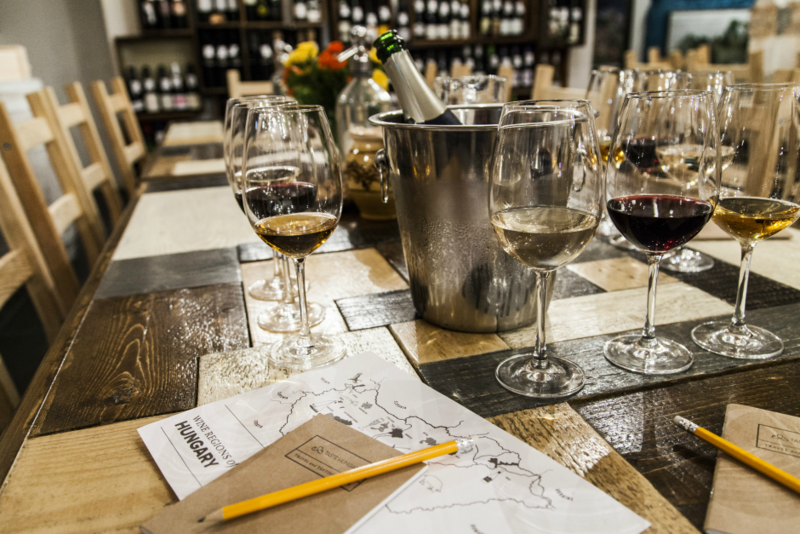 Join us to get an education in local wine (as well as cheese and charcuterie)!